Cromia Fall-Winter 2015-2016: Win a Cromia Bag! Cromia Fall-Winter 2015-2016. Everyone knows that at Christmas people are kind and generous! Even brands, that we love :) Today I’d like to inform you about an exceptional news: Cromia raffle 5 bags from Fall-Winter 2015 2016 Cromia collection and 5 wallets too! Try your luck on the website D di Repubblica and enter your data, you might be among the 10 winners :))) Good luck!! In today’s outfit I’m wearing one of the bags from Cromia Fall Winter 2015-2016 Collection, my favorite: tiny, in a beautiful mustard color, with a gold chain that gives a rock’n’roll turn to the whole look! You can find it on Cromia e-store HERE. I decided to match it with an unusual look: a pair of leopard shoes, boyfriend jeans and a trench. What do you think about this outfit? I can’t wait to read your comments! Holiday Outfits. Today we begin feeling the atmosphere of Christmas time!! December is just around the corner!!! :) And without being too specific about Christmas Eve and New Year’s Eve outfits, let’s start talking about some attires for Christmas Holidays in general: what we might wear for Christmas parties, dinners, events… all those evening happenings that we have to attend during the magical month of December. So let’s see some outfits for Christmas Holidays!! Outfits For Christmas Holidays: Let’s #ireneSClosetXmas begin! Then, in the next weeks, many posts, more specific about Christmas Day and New Year’s Day, will come! Plus, some specials about Christmas presents :) and many more wonderful surprises coming soon! This Christmas is going to be legendary! For now, enjoy the video! Fall and Winter makeup: purple lips! Video Tutorial! 10 clothes that you should have inside your closet, this winter season! 100 questions that you never dared to ask. Cape Or Jacket? That Is the Question. I Chose Both! Cape. When I was in Paris with Harmont & Blaine I fell in love with it (Do you remember?). I’m talking about the blanket jacket, a cape-jacket, that looks like a cape… but it’s a jacket! (and much more comfortable to wear… I wrote about capes and ponchos in this post). In , Paris, I tried on one with black and camel geometric pattern, but eventually I chose that one that I’m wearing in the pics. It has a beautiful palette and the cat perfectly fits! What do you think? I decided to create my outfit with a pair of high waist skinnies and a basic shirt. Of course I finish my look with the amazing Harmont & Blaine Fedora I hope you enjoy today’s outfit and I can’t wait to read your comments. hugs and kisses! Cape an alternative to Coat! Cuissardes. Over the knee boots that look like stockings. Culotte Pants: The Ultimate Guide! Before showing you some cool outfits in which culottes with different colors and shapes are perfectly matched, I’d like to highlight the fact that they can look good also on quite short and curvy girls. – IF YOU ARE NOT VERY SLIM: Choose dark colors or denim culottes. Look for slightly flared culottes, they’ll help harmonize your figure and proportions. If you choose wide culottes, it’ll look like you’re wearing a skirt! Capes and ponchos: an alternative to coat. Coats for Winter: the guide to choosing the coolest! Red: how to wear the color of the season. 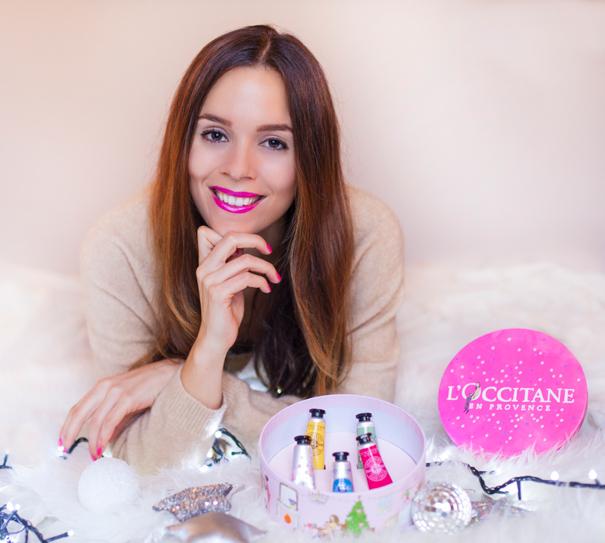 A Christmas Present For You By Irene’s Closet and L’Occitane: How to Get It! A Christmas Present For You. Girls!! I’ve been thinking about this for years! And finally my dream comes true, thanks to L’Occitane! This Christmas I have a present for all the girls that follow me. :))) In collaboration with L’Occitane I made a Christmas gift box with some lovely drawings (designed to be used as jewel case, or to contain makeup, cards, etc… That’s so cute!). Inside, you’ll find 5 little tubes of hand cream, with different fragrances, that look like they’ve just been stolen by the bag of a painter. 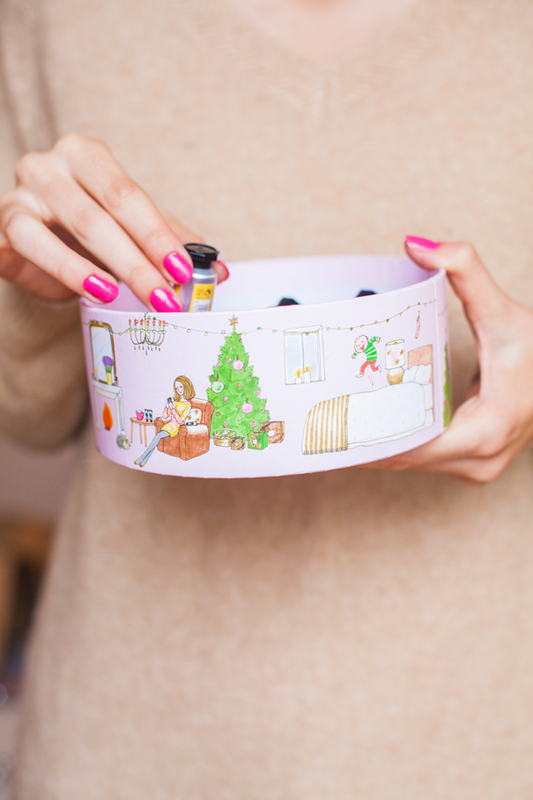 A Christmas Present For You By Irene’s Closet and L’Occitane: All the Details! You can have it FOR FREE in every L’Occitane Stores (HERE you find where)with a purchase of 15€ or more, you just have to say to the shop assistant that you are a follower of IRENE. You can also find the box on the website loccitane.it, and you’ll get it at home for all your purchases of15€ or more by writing the password IRENE in the promotion field of your shopping cart before confirming your order. The offer is valid from today 24 November 2015 till 31 December 2015 or while supply last! My favorite L’Occitane face cream: Pivoine Sublime. I tell you why! The event at L’Occitane boutique in Milan.